An inside look at our dream house. Most people, if they’re moving to a town that they know nothing about for a tenure-track job that guarantees only seven years of employment, will start off by renting a house. That’s the practical, rational, forward-thinking thing to do. But then, if you’re moving cross-country with three children under the age of four, you’ve obviously left rational, practical, and forward-thinking in the dust a ways back. This is the story of the house we bought when we moved to Vermont. It was our first experience buying a house. My husband and I left our two oldest daughters in California with their grandparents, and flew across the country with our month-old baby for a three-day house-hunting bonanza. Our realtor was the warm and wonderful Ingrid Punderson Jackson, who cleared her schedule for three days to show us ELEVEN houses in the greater Middlebury area. By the end of those three days, we’d found it. Of course, there were also practical features that sold us on the house. It was large enough to contain our family of five, with ample room for playing indoors and out. It was an easy driving distance from my husband’s office. And, perhaps most important: it was the ONLY house we looked at that wouldn’t need major, immediate repairs. With a new baby, new job, new state, new everything, we weren’t in the position to deal with a fixer-upper. Within days of moving into our dream house, I felt like we were living in our own version of the popular children’s book If You Give A Mouse a Cookie. The premise of this book is: if you give a mouse a cookie, chances are he’s going to want a glass of milk to go with it ... and before long, offering that mouse one simple cookie has resulted in chaos. If you buy a house in Vermont, chances are that on the first night you’ll hear bumps and scratching pitter-patter of little feet that don’t belong to your daughters. You’ll find mice droppings everywhere and wonder why you’re surprised, since you do, in fact, live in the woods. You deem it prudent to call a pest-control expert. The pest-control expert will note your roof, which is covered by cedar shingles: mossy, 22-year-old cedar shingles that passed inspection, but which you did expect to replace ... in 5 years or so. Apparently, rodents fail to see any distinction between your roof and a tree. 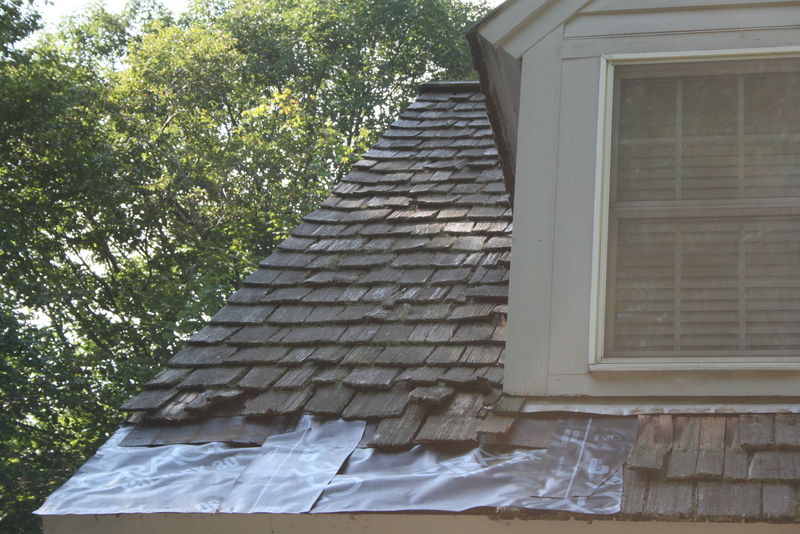 If you buy a house with cedar shingles in Vermont, chances are you will also begin to notice signs of past leaks — signs that you’d failed to notice when you fell in love with your “dream house,” like water stains on the ceiling. You deem it prudent to call in some roofers for their opinion. Six different roofers will tell you that your roof needs to be replaced immediately, before winter sets in. The contractor you hire to replace your roof will find 4 mice nests, one red squirrel nest, and a family of bats. Which does explain the bumps in the night. He will also point out that your house needs a complete exterior paint job in the spring. If you buy a house in the woods in Vermont, chances are you won’t be close enough to town to have access to municipal water or sewer. This means that you have a septic tank under your yard, the functionality of which will keep your husband awake nights. Your water comes from a well 150 feet underground, operated by an electric pump. You will lose electricity for 12 hours during the first summer thunderstorm, and quickly realize that no electricity means no water. No water, with three young children, is not a good thing. You hear stories of neighbors losing electricity for over a week. You also hear the hum of your neighbors’ generators. 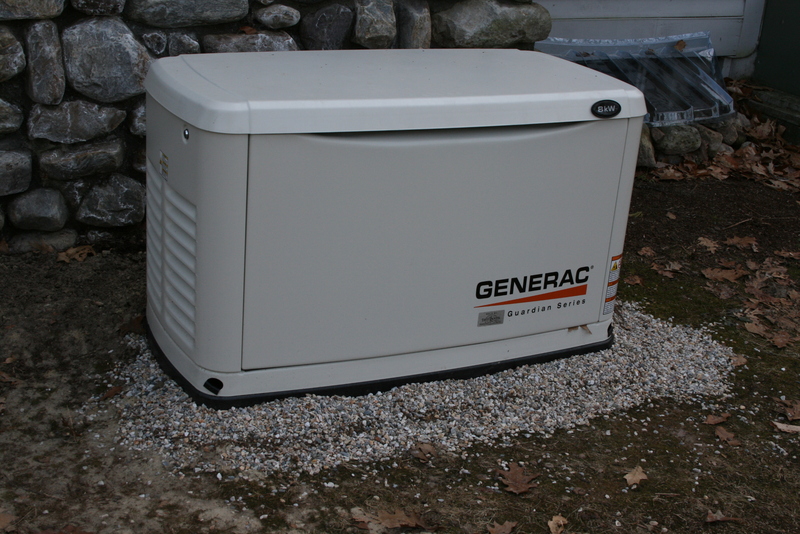 You deem it prudent to buy a generator. If you buy a house in Vermont, chances are it will soon get cold outside. You will want to heat your house. Because you live in small town Vermont, natural gas is not an option; they don’t run the pipes through here. Your heat is “forced hot water,” which runs off of fuel oil. Once a month, a big fuel truck pulls into your driveway and fills up the fuel tank in your basement. It costs $1,000 to fill the entire tank; to keep the inside temperature at 61 degrees requires half a tank per month. You do the math. After a series of nauseating fuel bills, you begin to notice the smoke from your neighbors’ wood stoves. You talk to friends who heat their homes with wood stoves, which turns out to be just about everyone you know. When questioned, these people speak about their wood stoves with the type of love usually reserved for pets. They all swear that wood stoves allow them to entirely or significantly reduce their dependence on fuel oil. You deem it prudent to buy a wood stove. 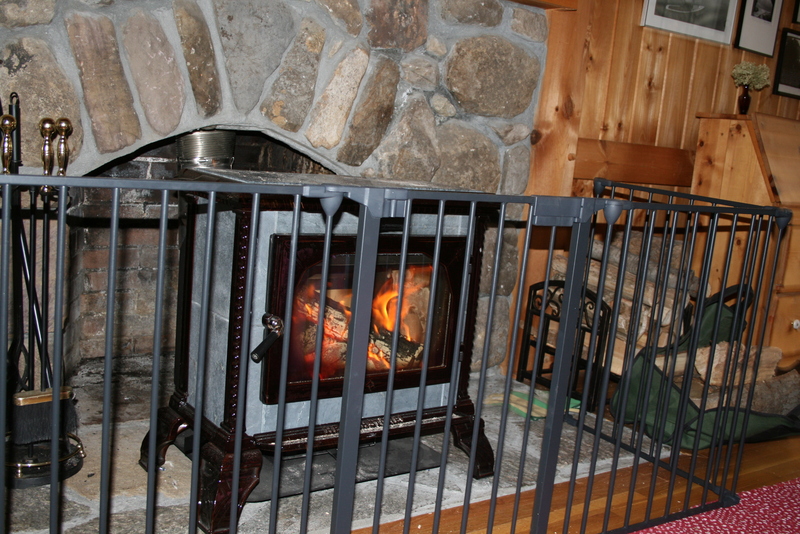 If you buy a wood stove for your house in Vermont, chances are you’re going to need some wood to go with it: about 5 cords worth, in order to get through a typical winter. 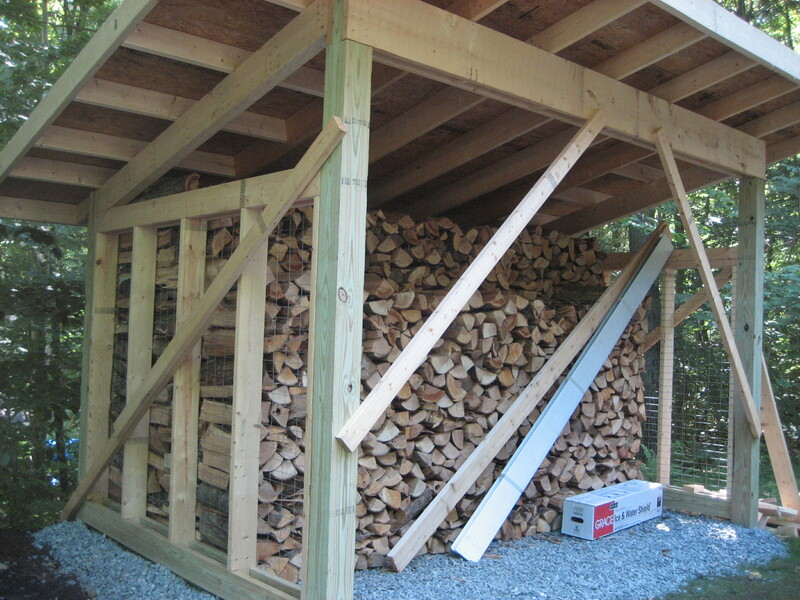 And if you buy 5 cords worth of wood, you’re going to need a woodshed to store it in — a BIG woodshed. If you buy a house in Vermont, when spring rolls around again, you’ll recall that you need a complete exterior paint job. The contractor you hire to paint your house will do a wonderful job. 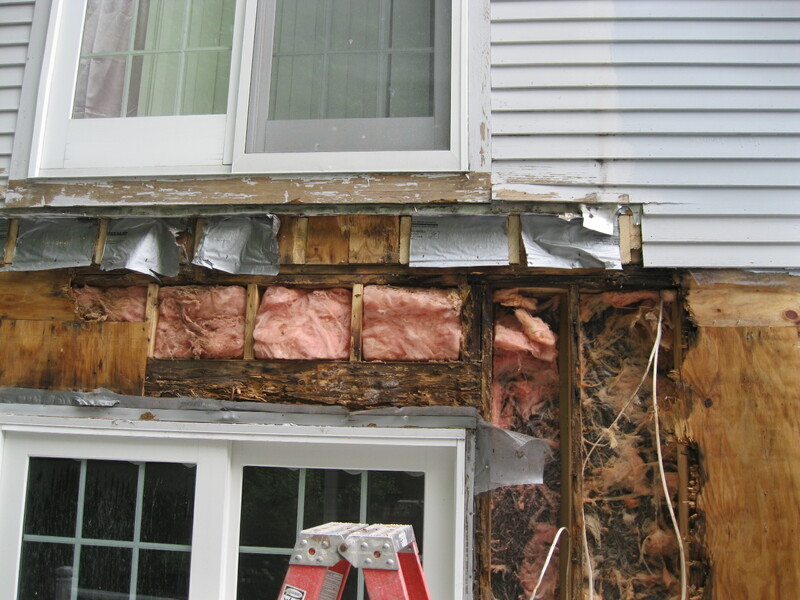 In the process, he’ll find that the plywood underneath the siding along one side of the house has rotted out. As he replaces the side of your house, he’ll also find a colony of carpenter ants, and faulty electrical wiring. We still love our house in Vermont. It’s still my dream house, but the dream is a bizarre one, in which nothing quite makes sense, and you learn to be grateful for “good enough,” and you chuckle and shrug at the latest catastrophe. Houses, like people, begin breaking down the moment they’re built. But in the spaces created by our home’s decaying surfaces, we are warm and dry, there’s lots of love and play, and anytime I pass a window I see the woods.